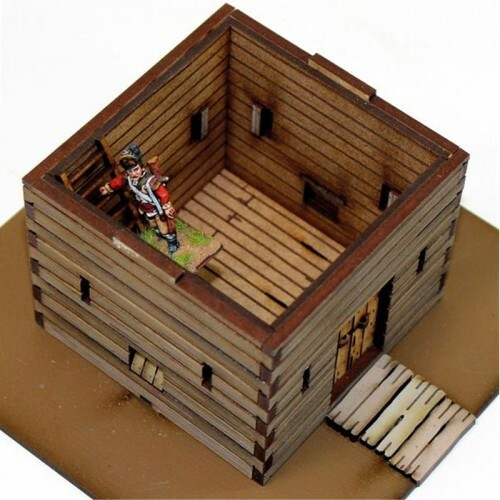 This highly detailed laser cut wargames model joins 4Ground’s growing range of American Legend buildings. 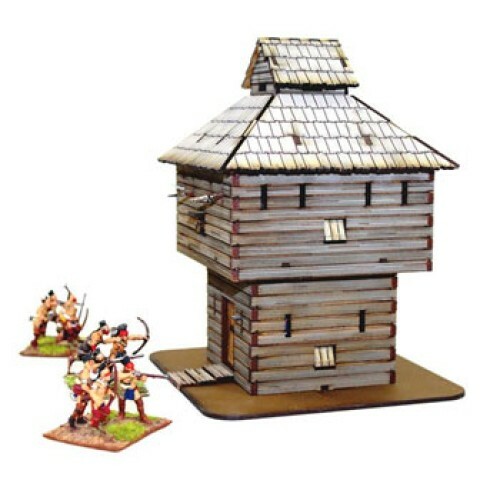 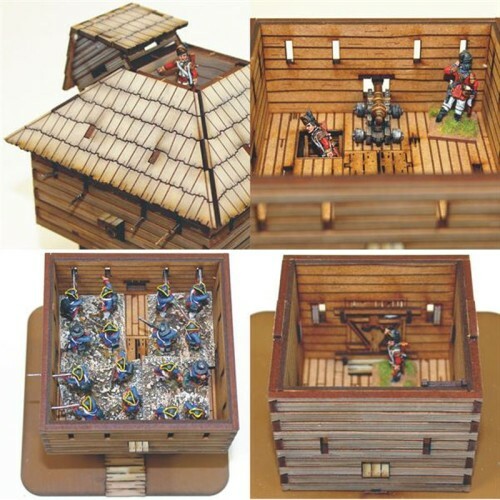 Like many in the range this building makes an ideal objective or terrain piece for The French Indian Wars, The War Of Independence and The War Of 1812-15. 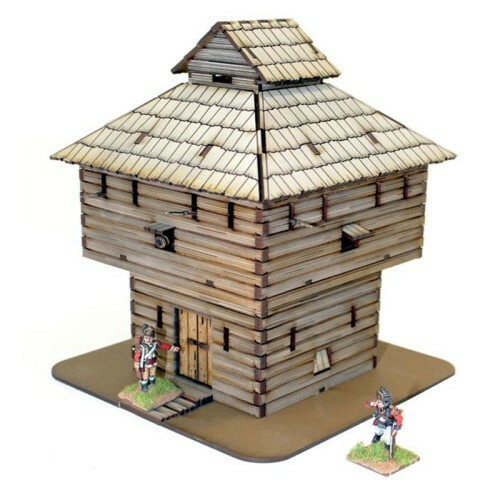 A Blockhouse could be of a simple rustic construction made by local militia, but this one is much more than that; built by the regular army, a crow’s nest gave even further horizons to observe and a cannon could be raised and lowered through the stout central trap door to shoot through the gunports in any direction and at two elevations.